Surgical scalpel with ebony handle. 14.6cm in length, 1.1cm in width (handle), 0.8cm in width (blade). 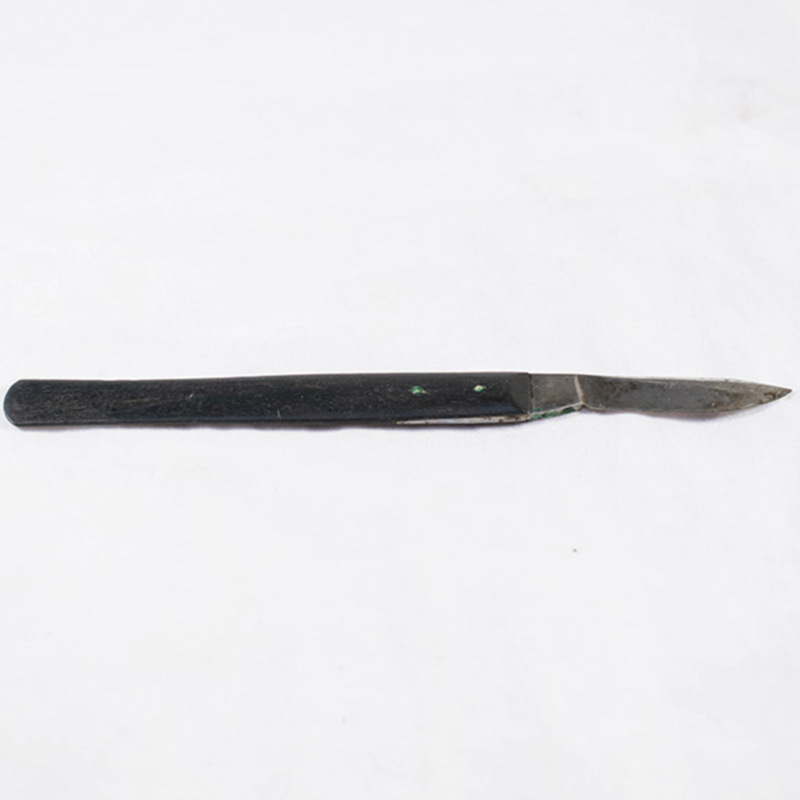 “Plain Surgical Scalpel,” Heritage, accessed April 25, 2019, https://heritage.rcpsg.ac.uk/items/show/318. 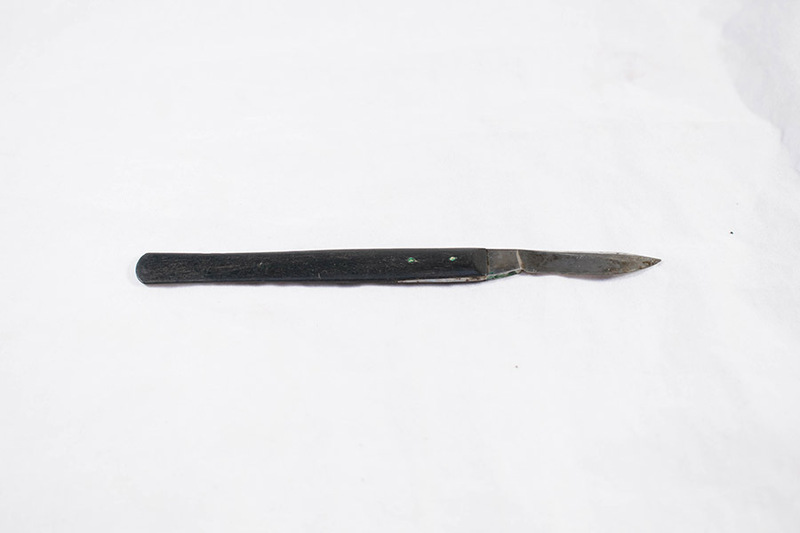 Description: Surgical scalpel with ebony handle.